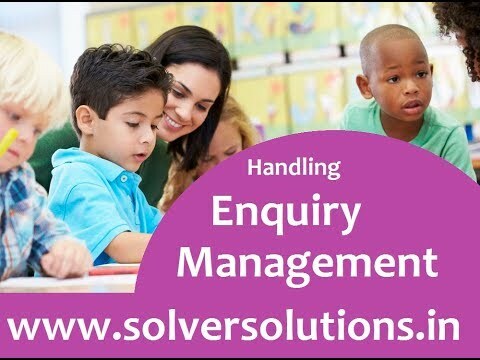 i-Genius is a complete education institute and school management software which helps in effective and efficient management of day to day activities that are undertaken. The software enables effective and efficient management of various functional activities like fee receipts & management, student admission & details, library, transportation, forecasting, etc. Student admission and details: Helps in recording student admission details and required information like student’s personal details, parent’s details with pictures. Fee Management: Helps track due/paid fee and allows user to configure the various heads in fee & select months when it becomes due and provides a flexible structure, generate head wise summary, etc. Fee Receipt: Helps generate receipt for the fee received and can customize the slip basis the requirement e.g. uses of colors, fonts, logos, lines, beautify the designs, print side by side, etc. Library management: Helps keep a tab on inventory, check availability of book(s), make entries for issues and received books, etc. Mark Sheets: Using the software, the institute will be able to create and print scorecards for students. Solver is the leading provider of complete BI solutions for today’s mid-market enterprise and the company is at the forefront of Business Intelligence (BI) technology for Microsoft Dynamics. Solver is changing the face of BI with next generation, collaborative and action-driven solutions for planning, reporting and analysis to deliver complete insight into every facet of the enterprise. SMS Birthday, Home work & Due Reminders.